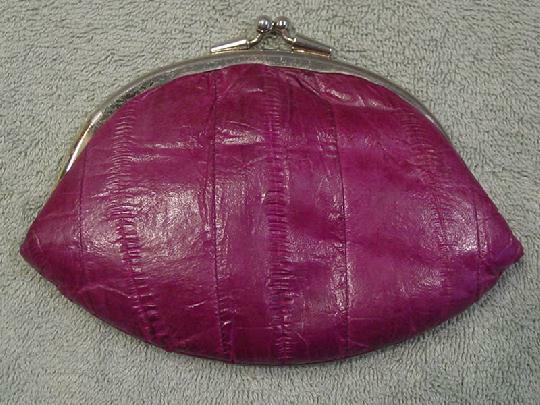 This purple grape genuine eelskin small clutch has a somewhat tarnished gold-tone metal rim and bypass closure. It has a purple (with some discoloration at the bottom) lining with a tone-on-tone pattern. 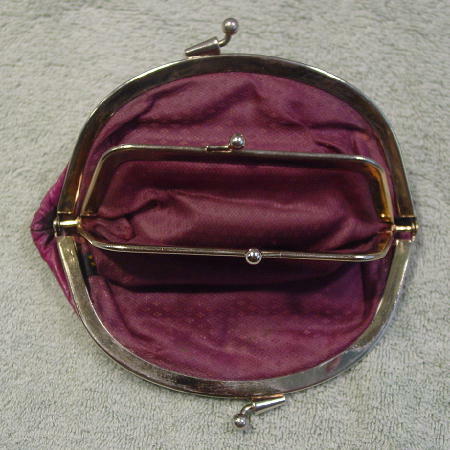 It has an interior center smaller change purse with a metal bypass closure and rim. The sides of these metal rims are attached to the sides of the purse rims. The clutch will hold a smaller cell phone (4" by 2"), credit cards, keys, a small mirror, and mini size makeup items.